Who was NANCY, wife of Ephraim Fowler? Nancy was the wife of Ephraim Fowler, son of Henry Ellis Fowler. Ephraim was born circa 1765 and died in 1822. He left a will upon his death naming wife Nancy and ten children, dividing his estate between them. I want to take a look at his wife Nancy. Who was she? There are many unanswered questions and much speculation about her. I have seen her name given as Nancy Moseley over and over in family trees, yet I have never seen any proof that her last name was, in fact, Moseley. I would like to know when and where the name Moseley was first attached to Nancy, wife of Ephraim. Perhaps there is a document out there that I have not yet seen that merits giving her the maiden name of Moseley. Assuming that the name Moseley is appropriately proven as the maiden name of Nancy, I would like to comment on which Nancy Moseley she could have been. Nancy, wife of Ephraim, is often referred to as Nancy, daughter of James “High Key” Moseley and his wife, Nancy Anna Jasper. Maybe there are more records out there somewhere that I have missed, but I cannot find any document proving to me that James and Nancy Jasper Moseley had a daughter named Nancy. Yes, I have read his will. Yes, I know that he had daughters Elizabeth who married Mark Fowler, and Susannah who married Womack Fowler, but I can find nothing that leads me to believe that he had a daughter named Nancy who married Ephraim Fowler. James “HighKey” Moseley mentioned in his will the following persons: his youngest daughter Jane, step son John Pickens, his sons John B. Moseley, William Moseley, his deceased son James Moseley and the children (not named) of James, son in law Mark Fowler married to daughter Elizabeth Moseley, son in law Womack Fowler married to daughter Susannah Moseley, daughter Rhoda Fowler (married to William Fowler), Benjamin Hodge, and the children of Jared Foster. There is no mention of a daughter named Nancy Moseley or a husband for her. Why would he leave Nancy out of his will if he did indeed have a daughter named Nancy? If Nancy, wife of Ephraim, was a Moseley by birth, I do believe that she was Nancy Mosley daughter of John and Ann Williams Moseley, and a sister to James “High Key” Moseley. I would be very grateful if someone out there could enlighten me with documented proof regarding our Nancy, wife of Ephraim. There are also those out there who believe that Nancy was the second wife of Ephraim Fowler. I am not sure of the basis for that theory. I see no reason why Nancy could not be the first, and only wife of Ephraim. Until someone gives me reason to believe that Nancy was the second wife, I am keeping her in my family tree as the only wife of Ephraim and mother to all of his children. It has been written that after the death of her husband Ephraim, Nancy, wife of Ephraim, became the common law wife of Benjamin Hodge. It has been written that Nancy and Benjamin moved to another state and had a son, Jasper Hodge, born in 1831. It has been written that Nancy died in 1852 in Missouri. I have a very difficult time with this speculation because of a document that I recently found in the Union County SC Courthouse proving that Nancy Fowler was still living in the home she shared with husband Ephraim in 1849. While we are on the subject, let us consider a few pieces of evidence regarding Nancy and her improbable relationship with Benjamin Hodge……. In 1820, Ephraim’s wife Nancy was age 45 + in the census record. In 1830, Nancy Fowler was listed in the 1830 census as being 50-59 years old. In 1850, Nancy Fowler was age 98 and living with daughter Lydia Hames. If Nancy’s age was recorded correctly in census records, she would have been too old in 1831 to have had a child with Benjamin Hodge. Nancy was in possession of Ephraim’s estate up until 1849, and living with her daughter Lydia Hames in 1850, perhaps due to both her advanced age and the fact that Ephraim’s property had finally been sold in 1849. The claim that Nancy, widow of Ephraim Fowler, had become the common law wife of Benjamin Hodge after Ephraim’s death, is implausible. Nancy lived in the family home in 1830 with her youngest son Ellis Fowler, and his wife Sarah Mabry and their young children, B. Elbert Fowler, Henry Fowler, and Julia Fowler. (daughter Mary Jane Fowler was not born until after 1830). Nancy was recorded as being in the age bracket 50-59. 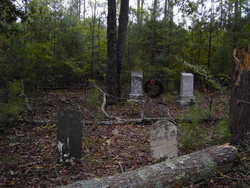 She was living next to and near several of her children: Mary Fowler White, Jasper Fowler, Stephen Fowler, John Fowler, and Milly Fowler Millwood. Although I have searched for Nancy’s presence in the census records of 1840, I have had little luck in finding her. My research has shown that Nancy stayed in the family home that she shared with Ephraim after his death in 1822. In 1849, Ephraim’s daughter Milly Millwood, his grandchildren, Susan Fowler…daughter of Jasper Fowler, and Henry Richard Fowler…son of Ellis Fowler, sold their portion of the land and Ephraim’s home place that they had inherited from their respective parents to William Bevis. At that time, December 1849, it was clearly stated in the recorded documentation that Mrs. Nancy Fowler was in possession of the family home and lands. By November 1850, the family home and land had been sold, and an aged Nancy Fowler lived in the household with her widowed daughter Lydia Fowler Hames. I can find no proof that Nancy Fowler died in 1852, as reflected in the family trees of others. I have not been able to find her in any records after the 1850 census, and if her age was recorded correctly in that census, then it is very unlikely that she lived many years beyond that.